Chris brown likely to face jail time... see why. 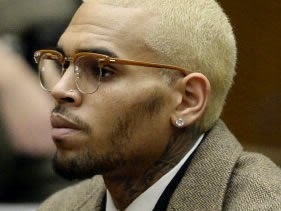 Chris Brown might be facing jail time after a judge revoked his probation for performing at a San Jose club where a shooting incident, injuring five people, took place during his performance. Breezy, who wasn’t directly involved in the incident, had his probation revoked because he left the L.A County to perform in San Jose without obtaining the court’s permission. Brown remains free at this stage and is set to appear in court for a probation violation hearing on March 20, where he may be sentenced. Breezy is set to perform two concerts in South Africa early April.